When President George W. Bush nominated John Roberts for the Supreme Court in 2005, the judge was confirmed by a vote of 78-22. Half of the Democrats voted with all of the Republicans in a display of bipartisan advice and consent. It was a touching moment of comity and civility—the sort of thing lauded in the abstract by Washington elites at the recent funeral of John McCain. It didn't last six months. Early in 2006, Samuel Alito was confirmed by a vote of 58-42. When the next Republican president made his first Supreme Court pick in 2017, Neil Gorsuch was confirmed by a vote of 54 to 45. As I write, the maximum number of votes Brett Kavanaugh can receive is 52 (all of the Senate Republicans plus Joe Manchin). That would put him in a tie with Clarence Thomas, who received the lowest support for a justice of the Supreme Court in postwar history. It is possible Kavanaugh could set a new record. Why the narrowing margin? Not because W. and Donald Trump nominated unqualified candidates. With the exception of Harriet Miers, withdrawn before a hearing was convened, their nominees have been eminently qualified. Nor is it entirely because of scandal. True, Anita Hill may have put a ceiling on Thomas's support. But Kavanaugh was on his way to a narrow confirmation even without the last-minute uncorroborated accusation from Dr. Christine Blasey Ford. The reason for these increasingly hard-fought and closely decided Supreme Court battles is that the last four nominees have been originalists and textualists who threaten the progressive doctrine of the Living Constitution. The left's hold over the Supreme Court is under threat. The Democratic Party and its affiliated interest groups, always eager to appease foreign adversaries, have in this case responded with force. They understand that the Supreme Court effectively rules the country. Any restoration of constitutionalism and of the separation of powers depends on control of the Court. Which is why, given a closely divided Senate, the next originalist nominee will be confirmed with fewer votes than Kavanaugh. No mystery why: Since Thomas's confirmation, no Republican president has replaced a Democratic appointment to the Court with one of his own. With Kavanaugh's investiture, W. and Trump will have replenished Ronald Reagan's appointments, as well as one of Nixon's. Imagine the outcry should one of the seats held by Ruth Bader Ginsberg, Stephen Breyer, Elena Kagan, or Sonia Sotomayor become available under a Republican president—especially if that president is Donald Trump. All of the trends showcased by the Kavanaugh fight are about to intensify. The polarization of judicial confirmations is just one of them. Another is the opening up of spaces previously thought closed to public scrutiny. 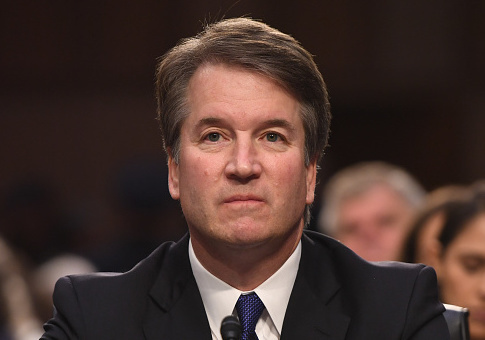 Kavanaugh's confirmation will signal to Democrats that they cannot attack a nominee's conduct as a minor without political consequences. That doesn't mean they will be reluctant to do so when the legacy of the Notorious RBG is up for grabs. If you are Amy Coney Barrett or Joan Larsen or Diane Sykes, you are frantically reviewing your exploits in high school, middle school, heck, elementary school for any embarrassment the Democrats might seize upon. And why stop there—because the Feinstein gang was more than happy to indulge in guilt by association when it came to Brett Kavanaugh's social circle, you might also want to ask your husbands and sons if they have any skeletons in the closet. You know that you will not be able to rely on a fair process when Dianne Feinstein kept Dr. Ford's accusations from her Republican colleagues and from Kavanaugh for weeks even as she secured Ford legal representation. Nor can you expect to have anything approaching a normal life if you are nominated for the Court, thanks to the harassment of mobs and lunatics abetted by the Democrats. Nor is there even the slightest chance that the media elite will cover the next originalist nominee objectively. In the last two weeks baseless and anonymously made allegations have been reported as breaking news by NBC, the New Yorker ran two stories in which all of the parties contacted could not confirm the salacious account of Deborah Ramirez, the wild and ever-changing story of Julie Swetnick initially was given kid-glove treatment, the New York Times granted an opinion journalist a news byline to report on a bar fight 30 years ago in which Kavanaugh threw ice at someone, then published the letter that Kavanaugh wrote to his friends in high school about an upcoming beach trip, all as reporters studied yearbooks for the hidden and nefarious meanings behind high school slang. So lost in the Devil's Triangle have these reporters become that they did not even attempt to investigate the various allegations against Kavanaugh with the same incredulity and skepticism they apply categorically to male students of private schools. The Kavanaugh affair has been an embarrassing debacle for our most prestigious sources of "news." It also has reemphasized the fact that judges are a winning issue for the Republican Party. Just as Trump's alliance with the Federalist Society played an important role in his 2016 victory, the vilification of Brett Kavanaugh has contributed to an upswing in Republican enthusiasm for 2018. Both Republicans and Democrats are alive to the fact that the future of the Court and the future of the country are inextricably linked. That is why we have just experienced one of the most gut-wrenching and sectarian episodes in American history. And why the next episode will be even worse. This entry was posted in Columns and tagged Brett Kavanaugh, Supreme Court. Bookmark the permalink.